Science teacher, author, and science shows presenter wants to show that science is valuable, a worthy human pursuit, and just plain fun. Late August in Crawford County was an exciting time for the Scheckel kids growing up on the farm outside of Seneca in the 1940s and 1950s. School started around August 23, depending on when Monday fell. The grass and weeds on the schoolyard had grown two to three feet tall. Floyd Sutton mowed the half-acre patch with his hay mower attached to his Minneapolis Moline tractor. 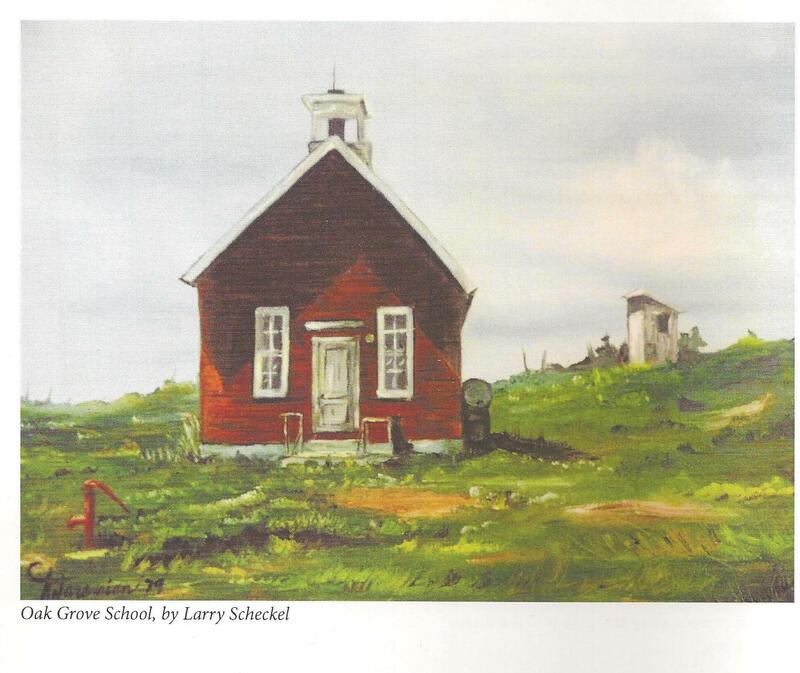 Everyone walked to the one-room Oak Grove School, except the Rosenbaum’s, who were three miles out on the end of the Ridge. It wasn’t the end of the world, but you could see it from there, a saying coined by Nebraskan Roger Welch. The Fradette, Mahan, Sutton, Ingham, and Lucey kids came from the North. The Scheckel and Kozelka kids came from the South. The two Pease girls came up out of Kettle Hollow. A hello from the teacher, greetings among classmates, the bat and ball were retrieved from the corner of the coat annex, Bases, actually boards or dried cow pies, were laid out approximately where they were after the school picnic in late May. The wood shed was the backstop. The softball diamond tilted, you ran downhill to first base, and uphill from second to third. With no time to choose sides for teams, a game of 500 or work-up ensued. Teacher ran the school bell at 9 o’clock. Kids dutifully filed in. Teacher said a few friendly words of greetings. The entire class of eighth-graders held up the American flag in the front of the room. Everyone stood for the Pledge, then the two eighth graders took the flag out the white, hinged, and squeaky door, They ran it up the 12 foot steel pole. It’s 1949 and learning could now begin.